It wouldn’t be winter without snow, but when it snows as much as it does in Quincy, Massachusetts, it can be a tremendous burden for many community members. We receive an average of four feet or more of snow per year, and it covers the entire region in thick layers of snow and ice repeatedly. It wouldn’t be quite so bad if it were 4 feet at one time that could be cleared and life would go on. Unfortunately snow storms hit frequently and sporadically, leaving ice and snow behind. That snow coats your driveways, ices everything up, and creates a very precarious situation for people needing to leave their homes in their vehicles. Quincy Snow Removal provides snow plowing services in Quincy as well as car snow removal, roof snow removal, and more to both homeowners and business owners every winter season. Because of the heavy demand, our services are fast, effective, and efficient. We suit up and use our high powered specialized equipment to make your driveway safe. You don’t have to bundle up and shovel. Whether you need residential servicing or commercial servicing, we are available to help at all hours. If you’re a business owner with a commercial location, a driveway full of snow and ice is going to keep many customers away. They’ll take one look at that driveway and decide to either come back another day or to take their business somewhere more accessible. That’s of course the last thing we want to happen during the winter season, so it’s critical to keep your drive clear and safe so customers keep coming in. Bundling up employees who normally work inside to head outside with shovels isn’t necessary anymore. They’ll take a long time, which will cost you customers and might even damage your parking lot asphalt or cement surfacing by accident. On the other hand, we can get that driveway snow and ice free in no time flat so business can continue as usual. As a homeowner, the last thing you need is to slip and injure yourself while getting into your vehicle, but this happens all the time. Spending a winter immobilized with a brace or cast is a lot less fun than being able to get out of the house and enjoy the season. People getting out of vehicles are naturally off balance. When your foot won’t stay put, everything comes tumbling down. If you need to use your driveway after a heavy snow, the best way to make it safe and usable again is by using a qualified snow removal service that can get the job done thoroughly and correctly. Especially for when friends and family might visit over the holidays, we will ensure your driveway is snow and ice free for visitors to safely arrive. Manually shoveling snow is great fun for about 30 seconds, but the thrill rapidly wears off when you’re faced with the prospect of an hour or more, and repeating the process all over again the next time it snows. Removing snow can be exhausting and time consuming when done by hand. Quincy Snow Removal employs a fleet of state of the art snow plowing and ice removing equipment that makes short work of the normally laborious process. Our snow plowing service clears out driveways quickly, efficiently, and affordably, and while we’re there, we can clear out any other location on your property you request. Walkways, sidewalks to your mailbox, pathways, and so on can all be snow plowed for you upon request. There’s no need to spend a fortune on a heavy piece of machinery that requires regular maintenance. Experience to use properly when you can use a professional service that’s faster, easier, and cheaper. Four feet of snow a year is a lot, and the ice that comes along with the winter seasons we have in Quincy can be brutal. When a powerful snowstorm hits our area it can completely shut down the community. If it weren’t for professional snow removal services, it would take days and weeks to restore movement and routine. 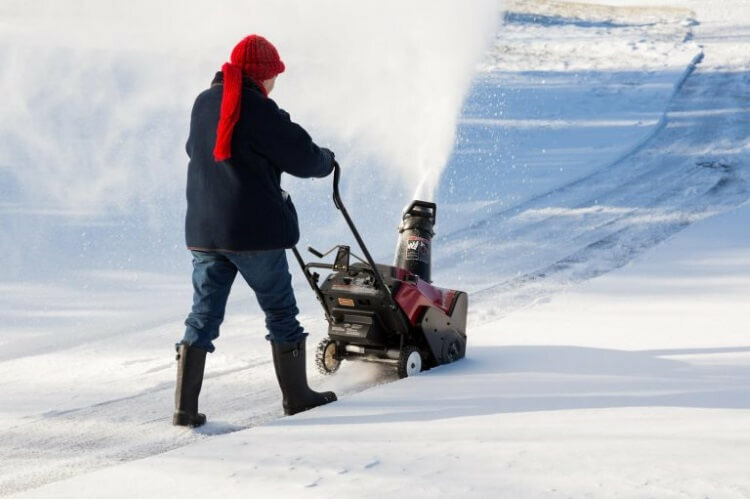 Quincy Snow Removal is a top rated snow management service in our area, and we provide fast and efficient service to protect your personal health, your property’s value, and your businesses. You can always count on reliable service from us.